Roma is more than a place. It’s a presence, a state of mind: the mind of multi-award winner Alfonso Cuarón, traveling back to his childhood to recount a very personal moment in his life which feels universal. 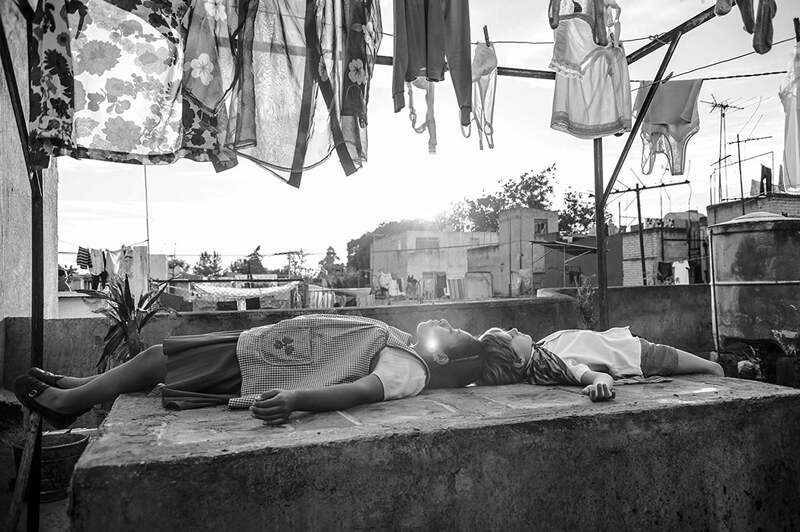 Winner of the Golden Lion at the Venice Film Festival this deeply personal film doesn’t make any reference to the Italian capital but to the Mexican neighborhood where Cuarón grew up. There, the Golden Globe-winning Gravity auteur narrates his own childhood with mostly nonprofessional actors, barely any dialogue, all of it in Spanish and Mixtec (a language spoken by indigenous people of Oaxaca), and shot chronologically in black and white. Cuarón is not only the director but the producer, writer, and cinematographer of a story so private that he didn’t even show the script to his dear friends Guillermo del Toro or Alejandro Iñarritu, nor to his actors or buyers. In Mexico, he replicated the house he used to live in when he was nine and his parents separated. For the film's rich sound design, he captured the sounds of Mexico City streets on Dolby Atmos. He shot the movie theater where he used to go as a kid and the planes he could see from the roof of his house when he thought about being an astronaut. Cuarón’s attention to detail is painstaking. But by doing that he has crafted a universal cinematic memoir. Roma is dedicated to Libo (Cleo in the film), the live-in nanny at the center of this movie. Yalitza Aparicio, a preschool teacher from Oaxaca who had never before acted, is the person Cuarón chose for the role. And her best friend in the film is portrayed by Yalitza’s best friend in real life. The only professional in the cast is 44-year-old Mexican actress Marina de Tavira, who only knew about the nature of the project, and the name of the director, at the end of her casting processes. She had the difficult task of portraying Cuarón’s real mother, Cristina (renamed Sofía in the film). Cuarón thought about filming Roma after his 2006 sci-fi drama Children of Men. But it was only after the success of Gravity that he could focus on his more personal story. And he felt a real urge to do that. "It started to be like this emotional need to do this film," he said to the media.” Careful what you wish for. Cuarón got the financing he needed for his new film. But due to the personal nature of the story and the lack of stars, the budget was reduced to $15 million. With that, in November 2016, he embarked on one of his longest productions to date, a 108-day shoot that took him all the way from Mexico to once again be a contender for the Golden Globe.